Banks/FIs deserve accolades for expanding their SME portfolio over the past years and thus exceeding the SME disbursement target given by the Central Bank. However, the financial industry is still saddled with some concerns when SME lending is in question. Banks find it hard to consider SME loans as a core focus segment because of the higher cost of monitoring and underwriting, as SMEs are scattered all across the country and are unstructured in terms of account management. Therefore, underwriting of SMEs is expensive and time-consuming since the cost and underwriting process for all borrowers (irrespective of size and value) are similar. FIs can come up with scoring models for SME businesses by deploying technology leveraging on the huge set of customer data. Also, more than just funding, small businesses require business management tools and advice on how to diligently manage working capital and FIs are the best fit to help them out in this scenario. Lastly, this is worthy to mention that the whole financial industry played a crucial role in building SME ecosystem and educating the market at this level, with prudent guidance from the Central Bank. Now, expanding the SME market reach in a low cost manner, by deploying technology should be the priority of Banks or FIs. In the realm of global corporate leadership, one name resonates loudly across industries and regions: Indra Nooyi, the former CEO of PepsiCo. Hailing from the diversified India, Indra changed the face of PepsiCo when the brand was witnessing dwindling popularity. After she stepped down as the CEO after 24 glaring years in PepsiCo., market analysts are terming the position “very hard to replace” in wake of Indra’s bold and thoughtful leadership style. This year, the theme for International Women’s Day is aptly kept- #BalanceforBetter. In Bangladesh, Ready Made Garments (RMG) has been the frontrunner in empowering females, where 4 million women found their earning source. Over the years, SME sector has also witnessed surge in active women entrepreneurs, who are highly motivated and aspired to take their business to a whole new level. The growing participation of young female entrepreneurs in F-commerce realm also deserves accolades. In corporate level, however, an unbalanced trend is discerned as we move up along with the hierarchy ladder. Female employees start falling out as they move to the mid-level in career and start having their own family responsibilities, resulting in a vacuum in top leadership positions. In many research and survey conducted internationally, it has been reflected that women make difference in the boardroom and in the company culture when they are put at helm of a company. It is high time, local corporates should recognize the fact and start working on the female potentials to the betterment of the company and coming up with suitable initiatives and facilities for them. Perhaps, down the line, Bangladesh may give birth to a number of Indra Nooyi’s who will change the face of the total economic scenario with their prudent leadership skills. The Market Capitalization (Mcap) /GDP ratio lowered to 17% in 2018 from 24% in 2014, whereas the peer countries mostly picked up for peer countries. One potential reason for this phenomenon is lack of listing of large corporates in the market. However, 2018 witnessed a number of developments in the form of partnerships and regulations. The strategic partnership between DSE and a Chinese consortium of Shanghai and Shenzhen Stock exchanges is expected to contribute in capital market improvement. BSEC approved the draft Qualified Investor Offer by Small Capital Companies Rules, 2018 that is expected to increase efficiency of the market by providing a separate market for small cap companies. Future prospect of the capital market in 2019 looks bright as government expects GDP growth to be at 7.8% and inflation at 5.6%. Economic Intelligence Unit (EIU) and UN predicted Bangladesh to be one of the fastest growing economy. Provided that interest rates remain under control and liquidity conditions improve, the market is expected to perform better. Stable political environment will attract foreign investment and improvement of exports and remittance can help ease pressure on currency. Bangladesh is now a role model in economic development boosted by its population and growing industrial base led by RMG industry. Economy is growing at more than 7% and projected to grow even faster in the future to become the 26h largest economy in the world by 2030. However, behind this rise lies multiple challenges revolving around infrastructural development and inadequate funds. 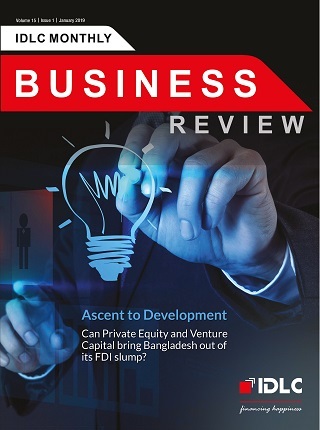 Bangladesh needs to receive enough funding to sustain this growth and one industry has potential to do just that – Private Equity and Venture Capital (PEVC). Globally, PEVC backed companies are proven to generate more revenue and employment growth than non-PEVC backed companies. However, for Bangladesh it’s still a distant reality. While the large start-ups of Bangladesh such as bKash and Pathao are gaining FDI and global attention, small start-ups are also on the rise guided by incubators and accelators. Thus, Venture Capital’s popularity is amassing but Private Equity still begs attention. Private Equity is shunned due to prominent obstacle such as, no local institutional investors, an economy reliant on debt financing, an obstinate corporate culture and huge tax rates on fund manager fees. Therefore, regulations and policies require structure and changes to promote local fund manager participation and attract international firms. Thus, a thriving PEVC industry is the catalyst for economy’s development that will unfold Bangladesh’s success through its manufacturing and tech sectors. “The asset quality is deteriorating in the highly fragment banking system.”- the remark came on the recently published Moody’s outlook for Bangladesh banking system. Despite being a robust economy, Bangladesh is witnessing ever-growing trend in bad loans. The chronic deterioration in asset quality is ultimately hitting the banks’ profitability due to covering up for high credit cost. For the nature of banking sector whose core job is to dealing with mass people’s money, bad loans are nothing new or unique. However, the pace it is growing is alarming. Aggressive endeavors by banks for portfolio target in this populated banking sector played substantial role for rise in NPL. Some other factors like lengthy judiciary process, uncertain business environment and no evidence of exemplary measures against habitual defaulters fuel the growth of piling bad loans. Countries like China, who drastically curbed their bad loan rate over the years, used social shaming as a technique to combat their bad rates. Then again, Malaysian government introduced separate Asset-Management companies to recover the non-cash collaterals by converting them to cash. In Bangladesh, in order to curb the bad rate, whereas due diligence on bank managements’ part is required, the judiciary process needs to be streamlined as well. Also, it is high time the banking sector altogether should take strict social measures against the habitual defaulters in order to combat their default culture. Although being a 20-years old market in Bangladesh financial sector, Suppply Chain Finance is yet to produce desired yield ascribing to some reasons. 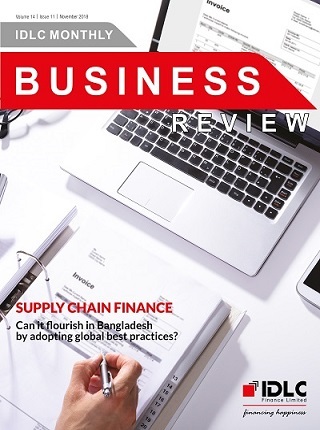 Firstly, there is a lack of understanding about the concept of supply chain finance and its products despite its immense potential in Bangladesh market. Corporate entities show indifference in backing up their suppliers, which is why suppliers have to take the fund at high rate. Also, here in case of non-payment of corporates, the supplier becomes delinquent to the banks, which is an unusual scenario in otherwise traditional loan products. 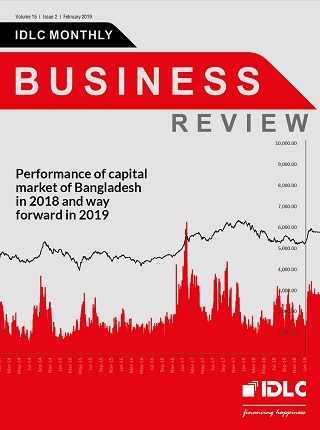 Reverse factoring, which is broadly applied in other parts of the world, has yet to get broader acceptability in Bangladesh market. However, the most crucial challenge is, supply chain finance is yet to be recognized as “a separate product” at regulatory level. It is still treated under the policy of Short Term Revolving Loan. However, some commendable initiatives such as Digital Supply Chain Finance Platform is taking place in the local market that breaths fresh air in this innovative product category. Also, there is a talk in the industry about the policy-making in regulatory level which will be the big push for this mode of financing. Across the world, disruptive technologies from companies termed fintech, are providing financial services in a more tech-savvy way and in lightning speed, making potential customers slowly drifting away from the traditional services offered by banks. Having said that, banks have started realizing the power of Big Data, Data Analytics, Artificial Intelligence and lastly Blockchain. Big banks in India are now deploying big data to customer profiling, collaborating with e-wallets to make the payment system more convenient, putting analytics into play in creating loan scorecards and gradually partnering with fintechs to leverage their technology for superior customer experience. Bangladesh, albeit trailing far behind from India when innovation in banking service is in question, it started making strides. 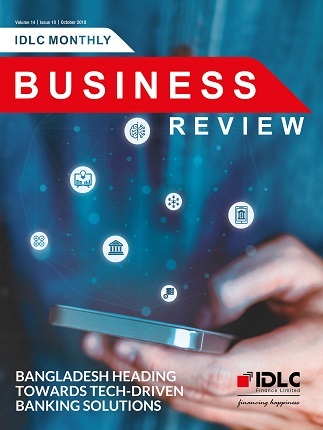 Top-tier banks coming up with smart downloadable mobile apps, emergence of the first-ever blockchain-backed universal payment platform namely uPay, the first e-wallet namely iPay are all testimonials that Bangladesh’s financial sector is on the cusp of technological disruption. Having said that, wealth of unstructured data, information availability and dearth of tech experts pose big challenge in this realm. 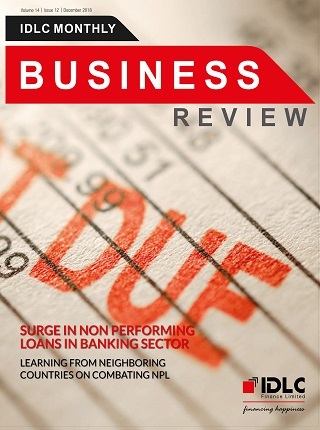 Its time banks should realize the importance of data and start putting technologies into play. Bangladesh is struggling with some stark realities in housing sector. Currently, 7 out of 10 households in Bangladesh dwell in conditions that are not permanent. In Dhaka alone, there are over 4,000 informal settlements, or slums, home to 3.5 million people, who consist of a majority of the workforce. Housing loan makes up only 9.1% of the total loan, which implies a big chunk of the population is totally off the radar of existing housing finance sector. Affordable housing comes to rescue in a bid to revive the fortunes of the flagging housing sector. The idea of affordable housing is embedded in providing housing for the low and middle income (monthly income within the upper ceiling of BDT 60,000 or USD 750 as per IFC) households, a currently untapped segment in our housing finance sector. Most of the apartments constructed size more than 1000 sq.ft., for which, private developers eye to the upper-middle and upper classes for reputedly having high credit worthiness. However, the ever-burgeoning middle and affluent class, rising income of this segment, more nuclearization of urban families are prone to make affordable housing a compelling story for Bangladesh, the way it happened in India. Housing for low and middle income households grew triple in just 3 years in India, accounting for 21% of the total housing finance sector and anticipated to grow 30%-40% by 2025. For Bangladesh, it is a first-hand concept which is yet to be explored and has the power to be game-changer for housing sector. Over the past decade, global e-commerce has been expanding at an average rate of 20% a year as bricks-and-mortar shops have languished. Although its share of total retail trade last year, at 8.5% worldwide, was still modest. Even in South Korea, the country with the highest percentage of retail sales online, online purchase accounts to 18% of total retail sales. The same statistics is 5%-6% for India and a meagre 0.7% for Bangladesh. However, there is every reason to think the pie will get bigger in upcoming decades, at least for Bangladesh. In Bangladesh, rapid internet penetration, spread of cheap feature phones/smartphones and a vibrant youth pool brought more shoppers into this fairy nascent e-commerce ecosystem. Also, the thriving mobile financial service across all the parts of the country is reinforcing the e-commerce space of Bangladesh as the most preferred payment method. Having realized the untapped opportunities in this market, the Chinese smartphone maker Xiaomi already announced to open an ecommerce plant in Bangladesh. Like every year, this year’s budget also has it’s share of encouraging and somewhat constraint policy changes for individuals, industries and economy as a whole. Several incentives are discerned in the budget to safeguard and boost local industries. Rice millers welcomed the reinstating of 28% duty on rice import. 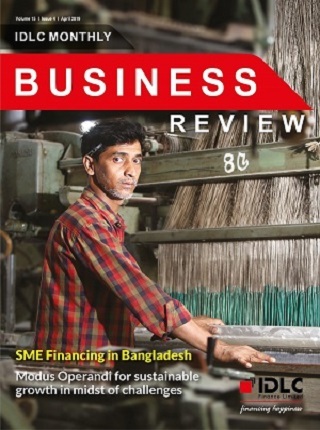 The increase in corporate tax for the RMG sector may erode the competitiveness of the largest export item of Bangladesh, since the cost of production is prone to increase. However, the recent decision of Government to cut down tax-at source to 0.7% from existing 1%, will bring the RMG makers some relief. Cut in the supplementary duty for hybrid cars (1600-1800 cc) in a bid to promote fuel efficient and environment friendly automotive industry, is also an appreciated green move. The slash in corporate tax by 2.5% for listed banks will definitely have a positive impact on the bottom line of bank’s profitability. Lastly, the 5% VAT imposed on the app-based ride-sharing services, which is a much necessary transportation mode now-a-days, may have a trickle-down effect on the consumers to some extent. Ride-sharing has become a popular and quintessential phenomenon in most of the city-dwellers everyday life. The impact of bike ride-share is evident in 50% hike in bike sale in 2017. The immense acceptance of ride-sharing mainly ascribes to its door-to-door pick up and drop off service, ease of finding a vehicle in emergency hours and no “decline culture”, that the city dwellers are habituated to while finding rides in the era of three-stroke wheelers. From another aspect, rise in purchasing power of middle class bracket of the society, made rooms for the ride-sharing space to flourish. And this phenomenon is now not only restricted within the bounds of The mega city of Dhaka; this is spreading at a rapid pace in other parts of the country as well. The fact that ride-sharing created employment opportunities for more than 40,000 people, asserts the promise of this sector in economic prosperity. Although, the latest announcement of 5% VAT on ride-sharing will make the service tad costlier, the higher authorities should move cautiously and evaluate how the imposition of new regulations would create an impact on the millions of commuters and the local ride-sharing startups. Starting with few instances of how brands create superior customer experience in the most engaging technique: eBay, a renowned e-commerce platform recently introduced a feature that helps sellers find the right sized box for the products they are shipping. The “Share a Coke” campaign of Coca Cola, which is deemed as one of the best campaign designed by Coke, demonstrated how a brand can engage its customers by changing the logo with their names. The campaign earned around 1.83 million media impressions, Facebook website saw a traffic increased by 870% while the Facebook page grew by 39% in terms of fans. The world has gone digital in almost every facet - be it fetching food from a 5 km distant restaurant to our desk by ordering online, calling out from transportation sitting at the cozy chair or seeking for a domestic help over online. The digital age enabled brands to intertwine with customers’ lifecycle and create superior brand experience. In Bangladesh, this is the “uber moment” for digital marketing as all the stakeholders are working collectively to achieve a common goal. 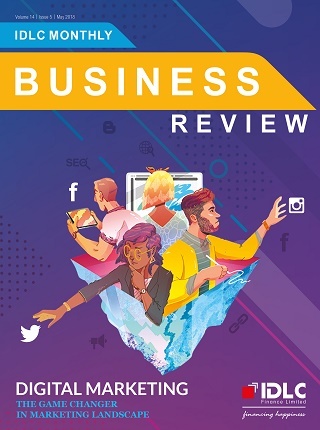 A handful number of innovative, fresh entrants are making the digital space more interactive, whereas the legacy agencies are thriving with their own digital wings. On the other hand, the CMOs are looking into the bright picture in the digital space and coming up with highly personalized and result-driven digital campaigns in an endeavor of taking the brand towards customer’s heart. On March 16, 2018, Bangladesh got the first recommendation for graduating to a developing country by Committee for Development Policy (CDP), a United Nations Panel. The declaration is worth taking pride in for Bangladeshis of every sphere. The country has been showing consistently brilliant performance in all the three indices (Gross National Income, Human Assets Index and Economic Vulnerability Index) and become a serious name of development in international dialogues. Bangladesh outstripped the LDC average Gross National Income (a strong parameter of economic success) in 1996 and has been rising since then. The country leaves some good lessons for the rest of the world on significantly reducing under-five mortality rate (to 16% from a 54% in 1990), which is one of the parameters of Human Assets Index. On the flipside, lifting of international support measures that Bangladesh is entitled to as an LDC, would have some impact on the economy. The most marked impact would be lifting of the Generalized System of Preferences (GSP) schemes of Europe and Canada. Having an RMG-focused export basket where 64% of the export goes to 27 EU countries under GSP, the probability of lifting of these benefits arises some concerns. However, countries like Cabo Verde, Samoa, Maldives who still enjoys the LDC benefits despite not being LDCs, give us assurance of the developing status not being heavy on the economy. Most importantly, we need to maintain the current momentum of development and opt for the next level in a bid to formally graduate with flying colors in 2027. The Central Bank announced the Monetary Policy Statement for the second half of FY 2017-18 on January 29, 2018 in the wake of the banking sector’s acute inquisitiveness regarding new directives for lending. As the industry experts and economists labeled the MPS aptly as “Cautionary”, it sets a lukewarm tone for private sector lending. The private sector credit growth target set for H2, FY 18 is 16.8% which is modestly higher than that of last half (16.2%) and considerably lesser than the growth achieved in December’17 (18.13%). In another bid to tighten credit supply and enable banks to continue lending appropriate sectors, the Central Bank curtailed the Advance-Deposit Ratio (ADR) of conventional banks to 83.5% from 85% (89% IDR for Shariah based Islamic banks from 90%), in a separate circular. The new directive asserts that banks must show steady growth in deposit mobilization alongside lending, unlike the scenario till date. On another note, the effort of the Central Bank to curb excessive lending may have a bright impact on the mounting NPL trend. It is the time to discern how the banks maneuver the perfect deposit-lending portfolio mix aligning with the directions by Central Bank and still maintain the thriving growth of their profitability. Like many other Asian countries, Bangladesh’s staple food is rice. There goes a universal saying for the Asian countries - undesirable fluctuation in rice price can make or break the agriculture/economic texture of the country. In 2017, Bangladesh, which is the world’s largest 4th rice producer, was hit by flash floods and waning stocks, resulting into soaring rice price. Retail prices of the coarse and medium quality rice, consumed by the majority of the population, ranged from BDT 44 to BDT 56 a kg from below BDT 40 range a year ago. In this context, it becomes tough for the commoners to afford such expensive daily intake. Simultaneously, import is also on rise, keeping in line with the deficiency in stock. Going forward, it will be a challenge for the country to meet its internal consumption demand of rice with smooth local production and intermittent on demand import amid fluctuating foreign exchange market and threat of natural calamity because of climate change.